Penny Board Woodstock - who is on striking logos and colors, for the Penny Board Woodstock should be the absolute dream skateboard. The motto was: rainbow colors. The Penny Board was designed in all colors that adorn a rainbow. Available in 22 inch and 27 inch. 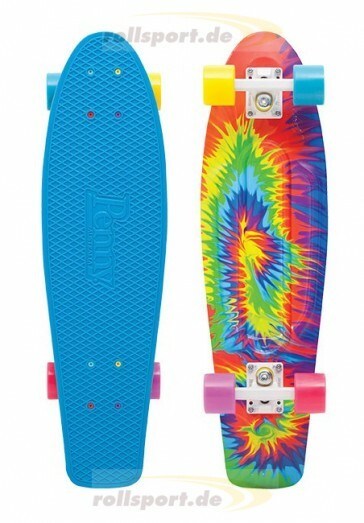 The new Penny Board in rainbow colors is there. 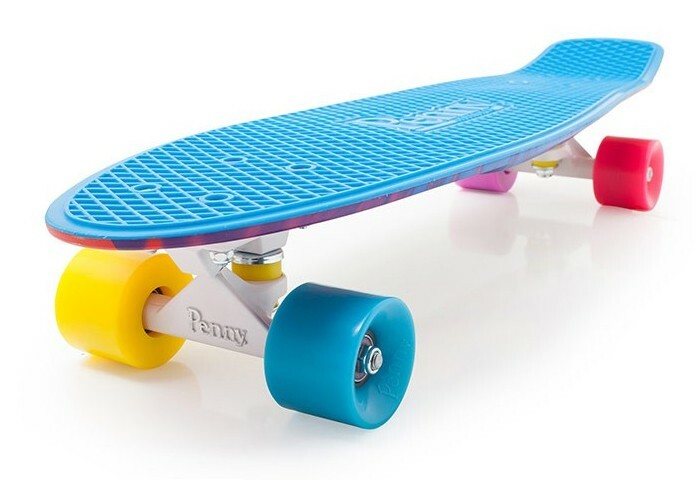 Both 22 "inches, as well as in 27" inch size, is the Penny Board blue on the tread when on base in many different colors. But the professional manufacturer Penny Skateboard impresses not only with the color - the quality of the products convinced customers worldwide now. The interplay of cool designs and good quality are exactly the two points, which value the customer.